It's Monday! What are you Reading? is a meme hosted by Kathryn at Book Date. Kellee Moye, of Unleashing Readers, and Jen Vincent of Teach Mentor Texts decided to give It's Monday! What Are You Reading? a kid lit focus. We encourage everyone who participates to visit at least three of the other kid lit book bloggers that link up and leave comments for them. Some weeks are just super busy and I find myself hunkering down with a stack of picture books as a way of refueling. This week’s stack has some new releases and some older titles from 2018. Superheroes are Everywhere by Kamala Harris, Illustrated by Mechal Renee Roe (Philomel Books, January 2019) - I have been curious about this one since Harris is a senator from my state and also running for president. The book focuses on those family members and friends that were “superheroes” in her life. Bold & Brave: Ten Heroes Who Won Women the Right to Vote by Kirsten Gillibrand, Illustrated by Maira Kalman (Knopf Books for Young Readers, 2018) - Gillibrand, another presidential candidate, released this book late in 2018. It is a nice collection of tributes to women who were instrumental in the fight for women’s right to vote. 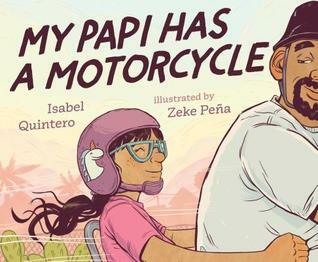 My Papî Has a Motorcycle by Isabel Quintero, Illustrated by Zeke Peña (Kokila Books, May 14, 2019) - I saw this briefly a couple of weeks ago and finally got to spend some time with the book. 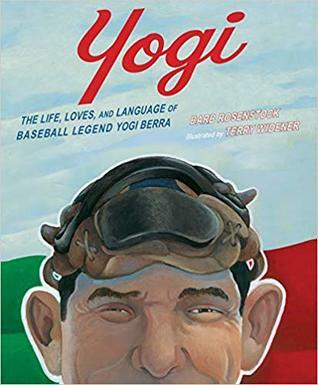 Mark your calendars - this book comes out in May. Hair Love by Matthew A. Cherry, Illustrated by Vashti Harrison (Kokila Books, May 14, 2019) - A celebration of a dad and his daughter and finding just the right hair style. This one comes out in May as well. Because by Mo Willems, Illustrated by Amber Ren (Hyperion Books for Young Readers, March 5, 2019) - This is a different kind of book from some of Willems other books. It is beautiful in both message and illustrations. The Crayon Man: The True Story of the Invention of Crayola Crayons by Natascha Biebow, Illustrated by Steven Salerno (HMH Books for Young Readers, March 19, 2019) - I have never thought about who invented crayons and this was informational and fun. 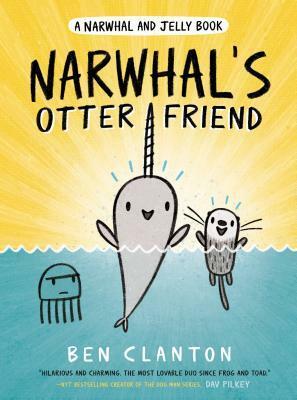 Narwhal’s Otter Friend (A Narwhal and Jelly Book #4) by Ben Clayton (Tundra Books, February 5, 2019) - Yay for Narwhal and Jelly and their new friend Otter. I love this series. See Pip Flap (The Adventures of Otto) by David Milgrim (Simon Spotlight, 2018) - There are so many different early readers and some get it right and others struggle to find their mark. The Adventures of Otto series gets it right. 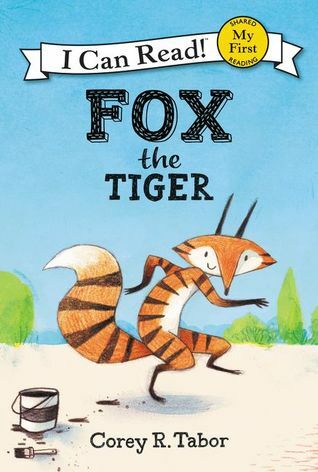 Fox the Tiger by Corey R. Tabor (Balzer & Bray, 2018) - I so understand why this one won a Geisel Award. it is fantastic. I just love this early reader. 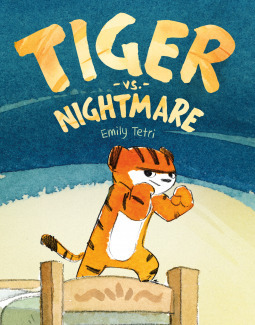 Tiger vs. Nightmare by Emily Tetri (First Second, 2018) - Love the twist on the typical monster under the bed stories. 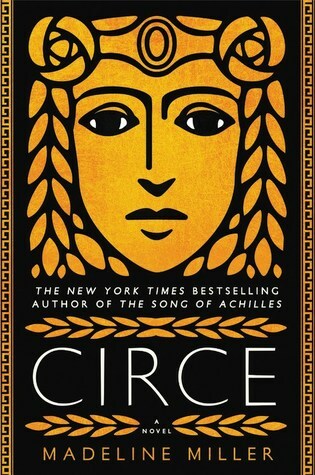 Circe by Madeline Miller (Little, Brown Books, 2018) - In December, I asked friends what was their favorite adult book from 2018 and this one came highly recommended. I just started the audiobook. The narrator, Perdita Weeks has an amazing voice. I think I could listen to her read a phone book. However, there are a lot of characters in this story based on Greek Mythology.